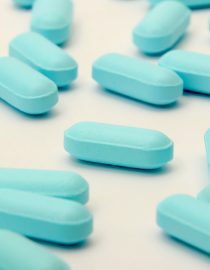 Fibromyalgia and Sleeping Pills: Are They Safe to Take With Fibro? Sleeping problems are common in fibromyalgia patients. Issues with sleep can also aggravate other symptoms associated with the condition, especially pain, depression, and fatigue. A 2008 study conducted in fibromyalgia sufferers found that 96 percent of the participants had sleep troubles. Doctors may recommend sleeping pills, but there are some risks and side effects that may occur when you mix fibromyalgia and sleeping pills. Sleeping pills are medically known as “sedatives hypnotics” and are used to induce and/or help maintain sleep. Three classes of drugs belong to sedative hypnotics: benzodiazepines (i.e. Xanax, Valium, Ativan), barbiturates (can be long- or short-acting), and other hypnotics (i.e. Lunesta, Sonata, and Ambien). Now, let’s look at the pros and cons of using them. Sleeping pills can help initiate and maintain sleep. Their sedative effects occur because they depress the central nervous system. For example, some of the most commonly used pills are the benzodiazepines. They help reduce the time needed to fall asleep, decrease the number and length of awakenings at night, and increase the total sleep time. You may also not remember being awake at night because they also cause amnesia, and they are anti-anxiety pills as well. The newer hypnotics (such as Lunesta or Sonata) work quicker than benzodiazepines to induce sleep and are less addictive. Sleeping pills are recommended mostly for short term relief, and not for chronic sleeping problems. You may sleep more while taking sleeping pills, but the quality of your sleep may not be as great. A typical example would be benzodiazepines that suppress deep sleep (which is the most restorative part of the sleep), leading to fatigue, drowsiness, and a hangover-effect experienced throughout the next day. Sleeping pills can also cause nightmares, vivid dreams, and parasomnias (where you will experience certain behaviors without being aware, such as sleepwalking, sleep eating, making calls, and even driving during sleep). Sleeping pills may also become less effective over the time, and can cause addiction, dependency, and withdrawal symptoms. Besides depressing the nervous system, sleeping pills may also depress respiratory function, and can therefore worsen conditions such as chronic obstructive pulmonary disease (COPD) or asthma. Sleeping pills can also interfere with many other drugs and with alcohol, and can cause allergic reactions. If you’re searching for a solution to your sleeping problems, review the risks and benefits of taking sleeping pills with your doctor. It is also worth looking into alternatives if necessary. For example, the National Sleep Foundation indicates that cognitive behavioral therapy (CBT) is a safe and effective option for chronic insomnia and its side effects. CBT also helps relief stress, anxiety, and depression, which can occur in fibromyalgia patients. For a natural option, you could also try using melatonin. It is a natural hormone that regulates the sleep cycle. Melatonin is available in supplement form (over the counter). It is used for improving your sleep (sometimes after discontinuing the benzodiazepine), and has a much safer profile compared to other sleeping pills. It can be used as a medication for fibromyalgia to help assist in regulating a healthy sleep schedule. Around 75 percent of fibro patients are thought to have troubles with sleep. Consider these tips for combatting fibromyalgia insomnia.